I love camouflage print but wear it sparingly. When the print is thin enough, it looks like green tortoise print which has a nice, subtle effect. Thankfully there are plenty camouflage shoes and accessories out there that can add just a touch of toughness to your look. Here are a few of my favorites. 6 Kitty Camo nail wraps by Rad Nails - meow! 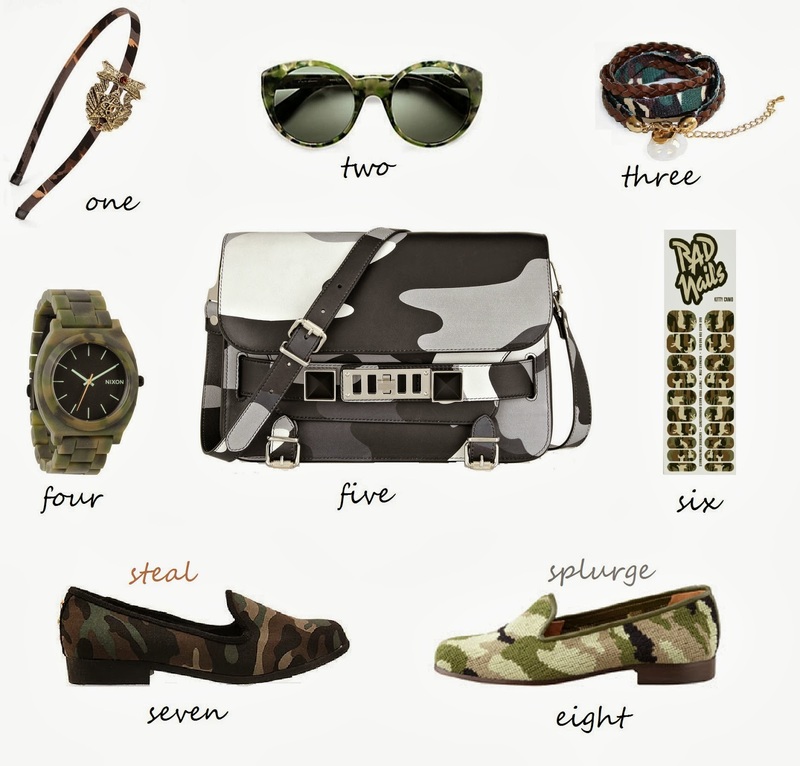 Love the Proenza Schouler in camo, even though I would prefer to buy it in red. My fav color in the PS11 is the holographic oil slick color but it's not super practical :P. I love that handbag in all colors though. <3 the size and shape!